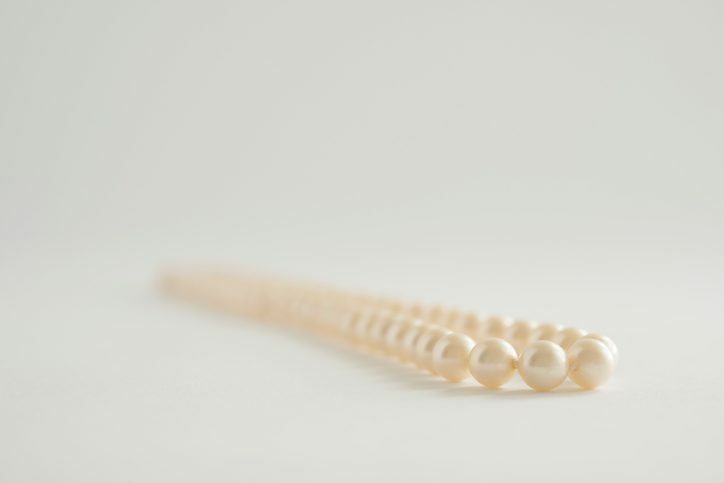 Store them carefully – Pearls are easily affected by their surrounding environment. Store your fine pearl jewelry in the packaging it came in or that you’ve gotten from your jeweler. Never store them uncovered in a jewelry box or in airtight places. Keep chemicals away – Never let harsh chemicals come anywhere near your pearl jewelry. This includes, but is not limited to bleach, harsh soaps, and detergents. Never wear your pearls when washing clothes or dishes, swimming, or when doing any activity that involves chemicals. We even advise that you avoid wearing them while applying makeup or hairspray, just to be on the safe side. Clean them according to your jeweler’s directions – When you clean your pearl jewelry, make sure you do it properly. The best practice is to wipe them off with a soft cloth. If you use a damp cloth, don’t forget to lay the pearls out to dry. However, you can also use a dry cloth. Never use liquid or chemical soaps, toothbrushes, or other abrasive products to clean your pearls. Handle with care – Finally, be gentle when taking out, putting on, and taking off your pearls. Would you like to add a lovely set of fine pearl jewelry to your collection? Are you looking for a special gift for a loved one? Stop by Norman Hege Jewelers for Rock Hill’s best selection of cultured pearls and freshwater pearls.